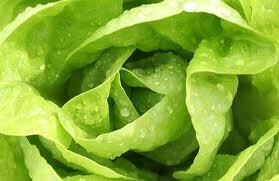 Consumption of lettuce stimulates appetite and removes toxins from the body. Furthermore, it can also cure deficiency of hemoglobin and mineral salts resulting in clear and radiant skin. It is enriched with iron content that has many beneficial properties towards health. Firstly it is required for the formation of red blood cells. Secondly it is for the transportation of oxygen to different parts of the body where it is needed. So the nutritional benefits of iceberg lettuce helps to prevent anemia.